As an established financial planning and wealth management company, TFP Financial Planning provides personalised financial planning and strategic investment advice to clients throughout Chelmsford and Essex. If you are looking for financial, pension or retirement advice in Chelmsford, please fill-in the form below and we will get in touch with you as soon as possible. Your meeting request has been sent. 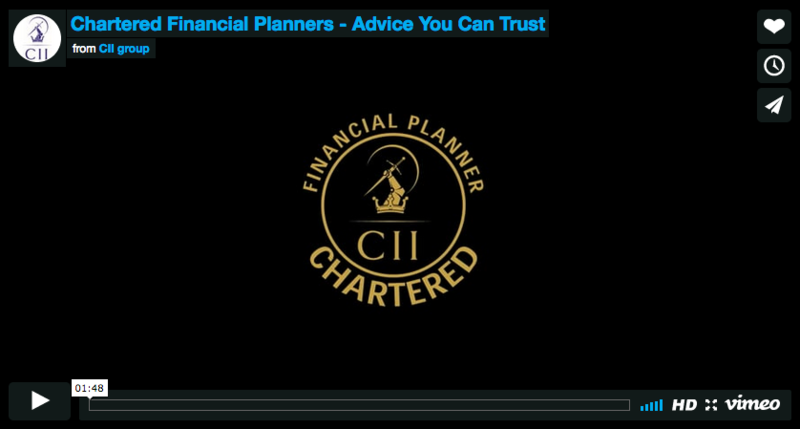 At TFP Financial Planning Ltd, we are immensely proud of our Chartered Status. This is the profession’s gold standard of excellence and integrity and is currently achieved by only a select number of firms who have met rigorous qualification criteria. Royal Charters are granted by the sovereign on the advice of the Privy Council and have a history dating back to the 13th century. One of the most effective ways to gain financial independence is to protect your wealth with a wealth management plan. An effective wealth management plan can give you the financial freedom to work through choice not as a necessity. As an IFA in Chelmsford we offer financial advice on all aspects of wealth management to help our clients achieve financial security for themselves and their families. At TFP financial planning, our integrated and coordinated approach to wealth management ensures that you have the best possible advice when devising your wealth management strategy. As an IFA in Chelmsford we work in partnership with our clients to ensure our advice is tailored to their unique personal circumstances and financial goals. Our personalised approach is designed to help us understand your wider ambitions and objectives for your wealth, whether you want to generate an income that supports your lifestyle, family and retirement plans, need help to pass your wealth on to future generations or wish to fund your ambitions; careful planning and successful investing of your wealth can help you achieve your financial goals. "We work in partnership with our clients to ensure our advice is tailored to their unique personal circumstances and financial goals." Making the most of the opportunities available to you. Planning for the future often means finding a balance between savings and investments and overcoming the challenges of deciding where to put your money and how long to keep it there. Regular saving and investing can help you save for your children’s education costs, help you generate an income from your capital and make provisions for your retirement. As an IFA in Chelmsford we can work in partnership with you to help you navigate the complexities of wealth management planning and will ensure that you are making the most of the opportunities available to you. Savings planning can be an effective way of achieving your short and mid-term goals, such as saving for a holiday or a large purchase. A savings plan can also be implemented to give you a safety net to provide financial security by having 3-6 months’ worth of living expenses in an accessible savings account should unplanned situations arise, such as ill health or redundancy. With an effective savings plan in place, you may want to consider investing some of your extra finances to help you achieve your long-term goals, such as generating an income from your capital. The right savings or investments for you will depend on your circumstances and the level of risk you are willing to take. You may have already thought about when you want to retire and how much income you’ll need from your pension. From the age of 55, you’ll be able to take responsibility for the money you’ve saved and access your pension pot however you like. You might want to take it all in cash, have a guaranteed income for life by buying an annuity, have a flexible income or defer your decision until later. As an IFA in Chelmsford, we’ll guide you through key wealth management decisions, advise you on tax-efficiency and make sure you’re saving enough into your pension so you can enjoy the retirement you deserve. "I was very lucky in finding Casey Mills at TFP, he set out my current arrangements with updated valuations and invaluable policy specific information that only a professional would know to uncover. All this information was set against the background of the new pensions flexibility and the various tax pitfalls." "Early retirement or career downscaling had increasingly occupied our thoughts but we were uncertain if our pension arrangements and investments would sustain our lifestyle. With life changing decisions to make we consulted Casey Mills looking for answers and guidance. He analysed our finances in a highly professional and diligent manner and then spent plenty of time with us presenting the results of the various scenarios he'd modelled at our request." Please get in touch below and an adviser will get back to your shortly. Copyright © 2017 TFP Financial Planning Ltd.
TFP Financial Planning Ltd is Authorised and regulated by the Financial Conduct Authority. The Financial Conduct Authority does not regulate tax/estate planning/some forms of auto enrolment.